Winter means building snowmen, getting cozy by the fire, and spending quality time with friends and family. While the cold winter months are perfect for recharging, they’re also chock-full of outdoor activities to enjoy. If you need a little motivation to get outside and face the cold weather, a new activity could be just the thing! Here are five that will definitely get you out of your comfort zone. Ice climbing is not for the faint of heart. It involves sharp axes and crampons, a lot of forearm strength, and vertical walls of ice. But once you've taken a lesson and tried it out, ice climbing can be a ton of fun. Ouray Ice Park in Colorado is worth the trip for beginners. They offer instruction on man-made walls, and you can find equipment rentals nearby. As with any sport, cross-country skiing can be taken very seriously. But, it can also be enjoyed by just about anybody. Most ski resorts offer a Nordic track, and some are designed primarily for cross-country skiing. Pre-defined tracks make it a little easier to navigate, and you’ll still get a great workout. Grab an auger and every layer of clothing you own for this freezing-cold expedition. Enjoyed often in the Midwest, ice fishing can sometimes include warming huts to keep anglers warm while they wait. And of course, before setting out, make sure the ice truly is frozen. You might just find a new relaxing hobby AND catch dinner. 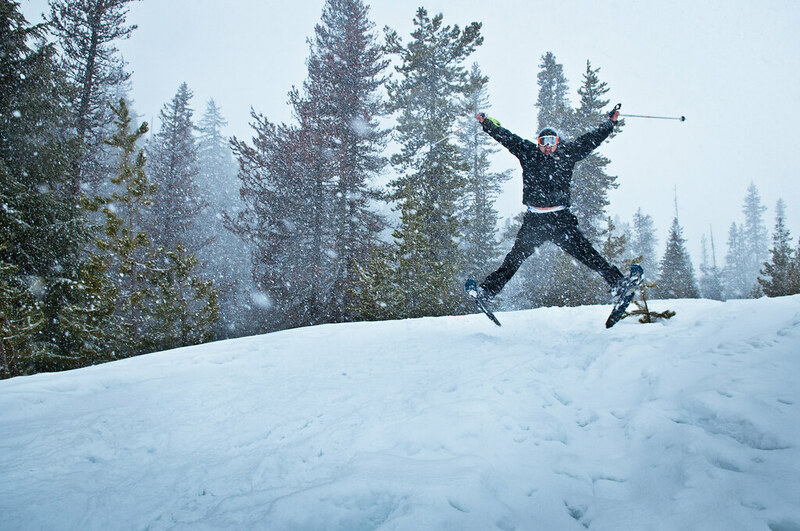 Snowshoeing can be as easy or hard as you like. Oftentimes trails that are accessible in the summer are made available to snowshoers in the winter. As always, there are dangers with backcountry winter travel, so make sure your daypack includes survival essentials. Attending a local Know Before You Go course can provide crucial information. While the initial act of getting in or out might be bone-chillingly cold, the time spent in the hot springs will be well worth it. Most are accessible in the winter, especially if you have a fat bike or snowshoes. If you're game for cold-weather camping, make it an overnight trip and you can enjoy a sunset or sunrise with your hot springs. What activities will you try out this winter? Whatever you choose, make sure to outfit yourself with the right outerwear from our marketplace of unique brands and trusted gear.